Experience level. Novice - Intermediate. Usually done as a first dive. Current is usually moderate. It is a nice wall dive with optional swim throughs. The drop should be done over the shallow sandy area, then head away from shore to the wall. 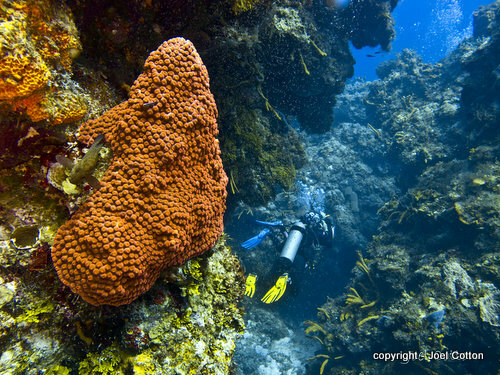 There are towering rock spires and cliffs that are covered with Gorgonians and sponges. 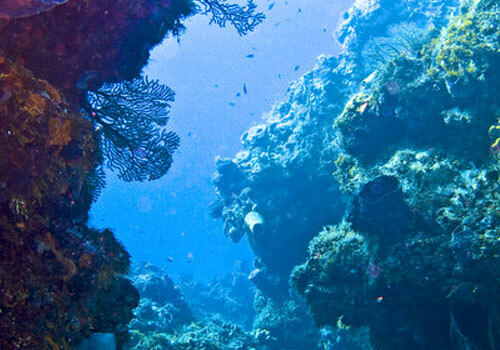 While the fish life in this area is not as great as other reefs such as Paso de Cedral, the tall coral formations and the plants and creatures attached to them make this a memorable dive. 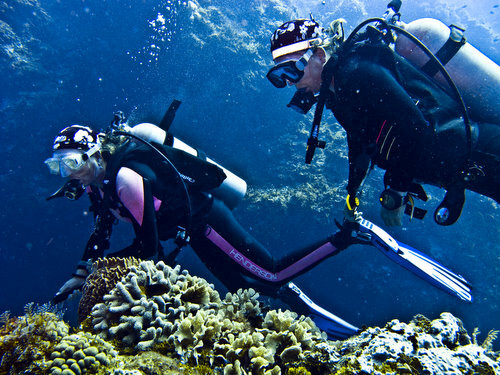 You will start to encounter larger numbers of fish as you start to end the dive in shallower water as you swim above the coral heads at about 30'. 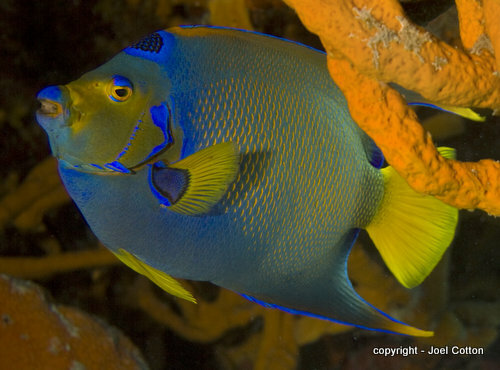 On any reef in Cozumel you can see any fish or animal at a given time. Below is a general guide.